(September 13, 2018) Iconic soul music legend Al Green hasn’t issued new music in a decade, but today he’s returned with a brand new single, available exclusively on Amazon Music. Ross-Sprang also brought a bevy of great musicians in for the sessions including Chad Gamble, Ken Coomer and organ legend Charles Hodges. Check out the clip from Amazon below. 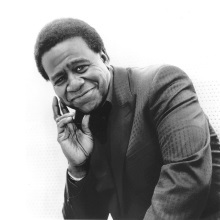 It is great to hear the great Al Green again.